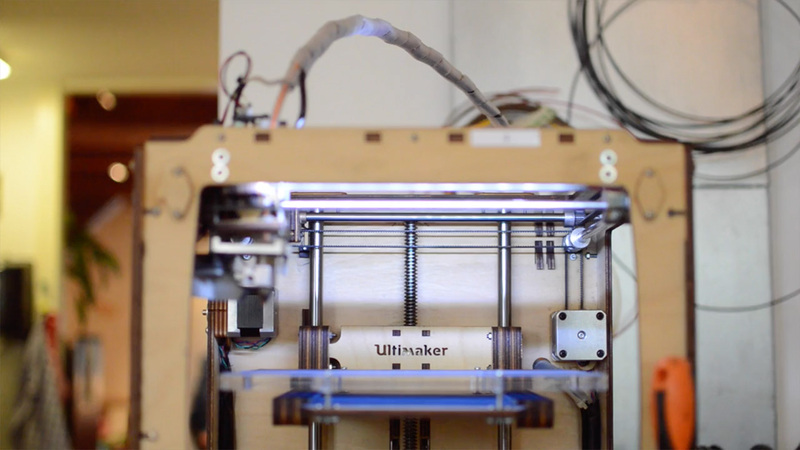 The Ultimaker is a low cost DIY 3D printer using FFF technology (Fused Filament Fabrication) with thermoplastic extrusion. It's a great tool to make fast 3D prototypes in various colours, be it of a simple nature and a small size. It can take a long time to produce a more complex form. Working area: 210 x 210mm | 8.27" x 8.27"
Maximum Part Size: 210 x 210 x 220mm | 8.27" x 8.27" x 8.67"